Skin creams, cleansers and healthy eating are only half the arsenal you have at hand in the battle against skin ageing. The other half is in the SkinCareDNA test. The SkinCareDNA test is a new, scientific skin care approach that will help fight the visible signs of ageing or even prevent them by establishing your unique, genetic predisposition to skin ageing. The skin test is offered at only £139 and includes a full report. You are never too old to begin altering the future of your skin start today. A skin DNA test is a preventive test. Some of us might be genetically predisposed to factors which accelerate skin ageing. Unwittingly, through your lifestyle choices and habits, you may be contributing to those wrinkles and that tired skin. For each area, the result will establish whether your gene profile is non ideal, standard or optimal. Standard: indicates your genes are functioning at a standard level, similar to the average around the world. Optimal: Indicates you do not have any genetic variation and that your genes are functioning at an optimal level. Each area will further be expanded upon by detailing the visible and non-visible effects, followed by sound advice and guide lines about how best to deal with the area. Because your genetic makeup is the same throughout your life, this test is really a once in life time necessity. We all differ in the extent to which we age due to our lifestyle but also our genes. 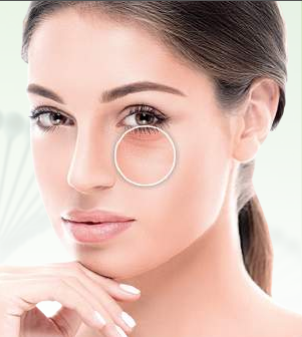 The SkinCareDNA test analyses a total of 26 Single Nucelotide Polymorphisms which are involved in skin ageing and appearance. These SNPs are what could be significantly contributing to your genetically weaker skin. Understanding these genes and their impact can help determine the future ageing of your skin and what products and ingredients you should be using to enhance the appearance of your skin, slowing down the ageing process and in some cases, even preventing those signs of ageing. A skin care therapist will guide you with the best recommendations once you receive the SkinCareDNA report. How well will your skin stand the test of time? Unravel the answer today with a simple oral swab sample. We will provide you with a kit and everything you need to collect the sample painlessly in the comfort of your own home. Using the report provided and with the help of a skin care specialist, you can create a real, optimised skin care programme based upon your individual, genetic makeup. I already use the best skin care products. Why would I take the test? Most skin care professionals will encourage the use a skin test to truly understand what products and treatments your very own skin needs. Using a certain product, no matter how good it is, does not mean it will necessarily contain all the ingredients and nourishment your skin needs. Using a skin DNA test provides a very targeted approach and will help you see better results and in the long term save money. Do you offer any tests for dieting and weight loss? If you are struggling to lose weight or simply want to start making choices that are optimal for your health than DNA Diet and Healthy Weight DNA Test is a great test to choose. The valuable information you will learn from taking this test is important if you want to reach and maintain your target weight. You will learn your true calorific needs, the best type of exercise, the nutrients your body requires and much more.